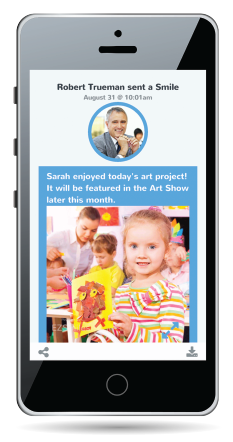 EZSmiles is a powerful new mobile app that integrates with EZCare online childcare software. EZSmiles keeps parents connected to your school or childcare center throughout the day. 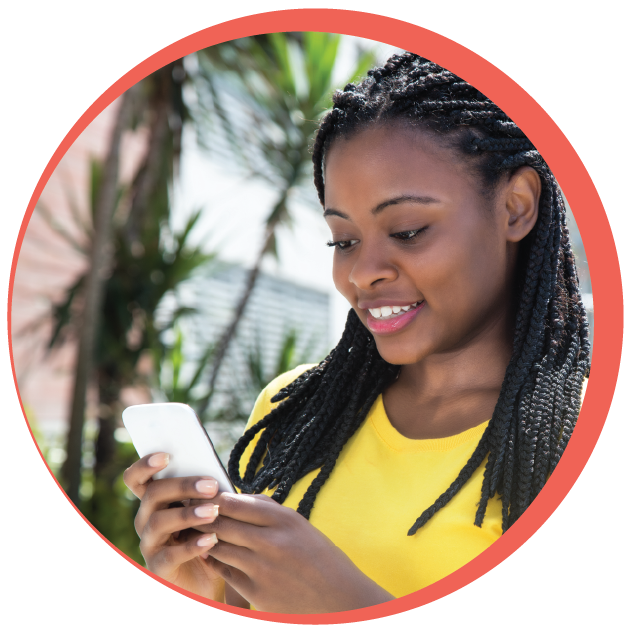 From palm-of-your-hand messaging capabilities to a fun photo-sharing feature, EZSmiles can help you take care of business in a way that’s personal, professional – and best of all – easy. You and your staff can publish pictures and updates, send special announcements and reminders, you can even spread the word about the new fundraiser you’ve been planning. But it’s more than just another social tool. EZSmiles also lets parents pay directly through the app! EZSmiles is sure to put a smile on parents faces when they see special moments in their children’s day, when they happen. Share the happiest moments of the day with parents in real time through the EZSmiles photo sharing feature. Stay connected on the go with our EZSmiles app, it’s the easiest way to stay connected with your children’s school or childcare center throughout the day. Teachers or counselors can send you pictures, announcements, schedule changes, notes, and reminders. Learn about special moments in your children’s day the moment they happen. Save Time, Make Payments On-The-Go. With EZSmiles on your smartphone or tablet, making a payment is as easy as ABC. Pictures to Brighten Your Day. Use any device you like, smartphone, tablet or desktop to stay connected to your children’s school, childcare center or center. English text is automatically translated into Spanish. Earn $25.00 When You Refer Your Center. EZSmiles works with EZCare online child care software. Speak to your center director or childcare center counselor to find out if they subscribe to EZCare and ask when they plan to introduce EZSmiles. Earn a Free $25.00 American Express Gift Card! * Just click the button below and and complete the referral form. We’ll contact them directly and send you a gift card. *Limit one gift card per family. Must be a valid childcare center to qualify. Make parent engagement easy with the all new EZSmiles app that brings the child’s experience to life for the parents. Keep parents connected to your childcare center. Log activities for one child or a whole classroom in just seconds. Customize it to your facility needs. Automatically translates your center’s English language messages to Spanish. In seconds share pictures, announcements, schedule changes, and reminders. Enable parents to pay their childcare tuition and other fees directly through EZSmiles. No more paper! Cut costs and go green. How Can My Center Get Started With EZSmiles? EZSmiles requires a subscription to the new EZCare online childcare software. Just click the button below and complete the form to see how the all new EZCare will make your workday easier and more productive with a personal demo from one of our product experts.